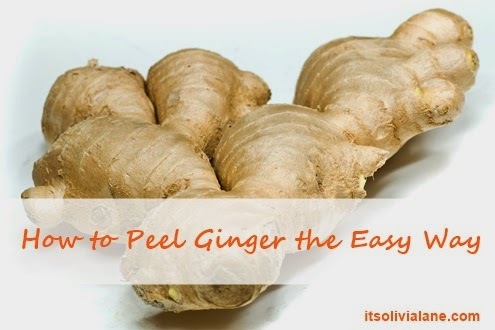 Tired of struggling to remove the skin from ginger? Watch me peel ginger the easy way. Hate videos? No problem. Click through to read how. Use the rim of a spoon to push the skin off the ginger. That's it. It's amazing how effortlessly ginger skin comes off. It may be a little more difficult with older, more wrinkled ginger but it always works. It's much easier and safer than fumbling around with a vegetable peeler. Try it yourself then let the kids do it!